Some organisations like to disable Java applets from running in a web browser for tighter security. 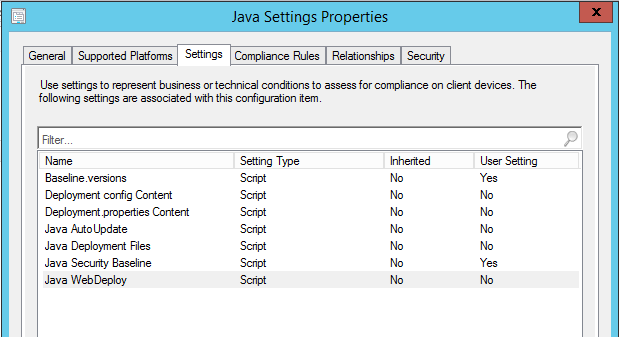 This can be done with group policy, but in our organisation I already manage Java settings across the enterprise with Configuration Manager’s Compliance Settings (as documented in my solution guide for Java), so I decided to use a Compliance Setting for this also. In this setting I use two PowerShell scripts, one for discovery, and one for remediation, which you can find below. 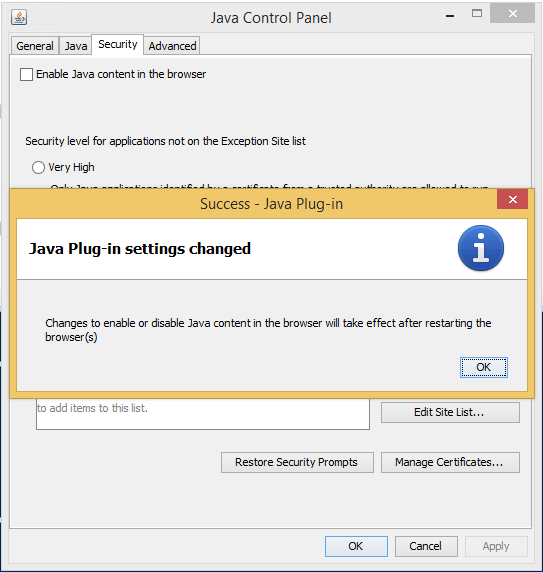 The discovery script will use the registry key above to determine whether Java has been disabled in the browser or not, and the remediation script will run the command that disables web Java for all installed Java versions. 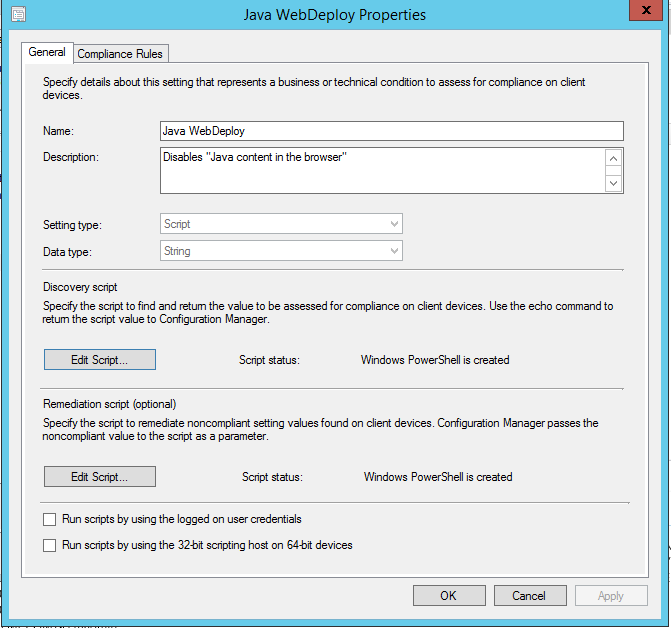 Once this setting has been deployed in a baseline to your computers, Java will be disabled in web browsers for each machine that has Java installed in the default locations. 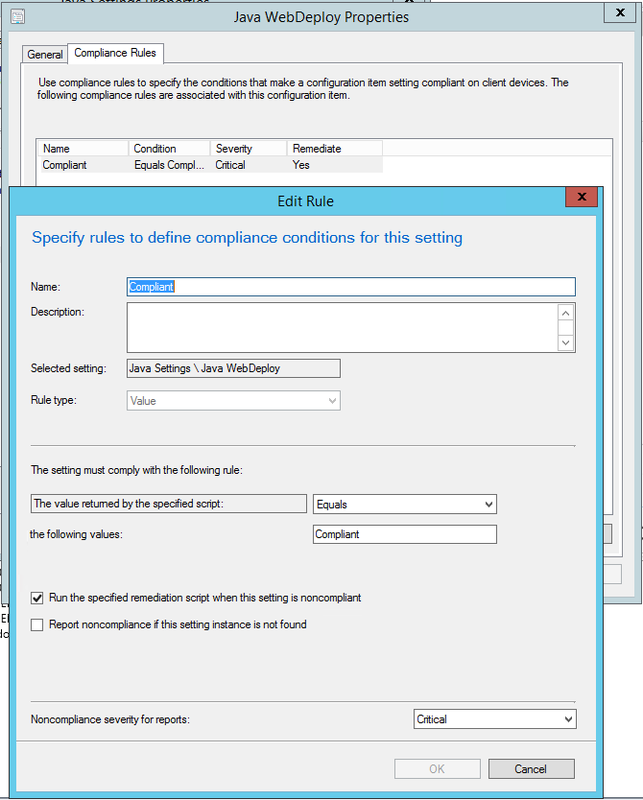 Should a user manually enable it from the Java control panel, the ConfigMgr client will disable it again according to the compliance evaluation schedule you have defined. Here’s a little PowerShell function I wrote that searches the Uninstall key in the registry for DisplayNames and product code GUIDs. I wrote it to help in finding the relevant uninstall key to use for the registry detection method when creating new applications in System Center Configuration Manager. You can use it to output all the DisplayNames and GUIDs in the key, or search for a keyword to filter the results. 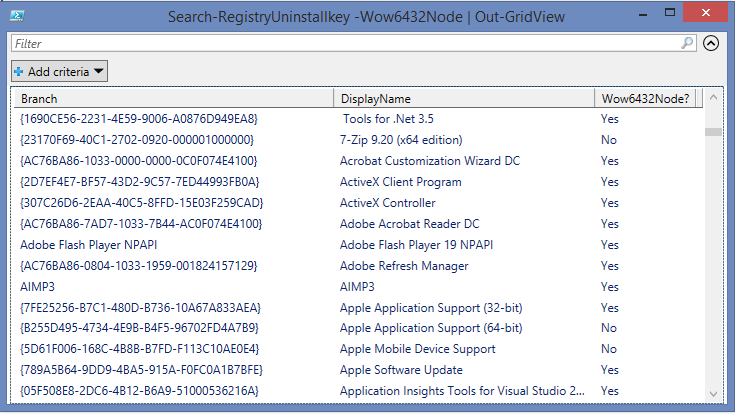 On 64-bit systems, it can also search the Wow6432Node. UPDATE! – Oct-16-2015 – Script updated to include “DisplayVersion” key. Add-Member -InputObject $obj -MemberType NoteProperty -Name Wow6432Node? -Value "Yes"